The usefulness of outlining in fiction writing depends on how and when you use it. As I said in an earlier post, plots, like characters, are living things. Plotting can be a delicious left brain activity that can lead you down the rabbit hole into places you never expected to go. 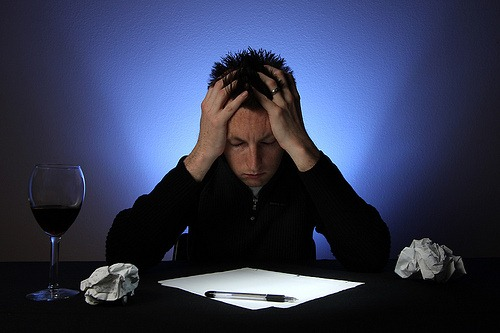 That said, some people are completely overwhelmed at the thought of writing a plot outline. If this is you, don’t worry; outlining is not essential, and you may get some insights from reading on. A carefully determined chapter and scene outline that becomes the writer’s bible. This is definitely a horse before the cart method, one that I never recommend as something you do before you’re really into writing of your story. The big danger is that outlining, a left brain activity, ends up defining characters and plot. This is a sure fire way to end up with flat characters. However, this method can be a helpful exercise when you have lost your way in the writing, or are feeling overwhelmed with too much material. Making an outline of what you already have can help you focus and get a view of the story line as it is already written. Using outlining in this way might help you see openings to both plot and characters that you missed. A story board. Can be fun, might help. The danger is that you have the illusion of being productive and creative even if you haven’t done much writing. Better to use this when you have a good first draft. Also story boards are helpful in film scripts and any kind of writing that is formulaic. Writing a one or two page overarching view of plot. This can be very helpful for a plot driven writer who needs to have some sort of roadmap before writing. The benefit of a sketchy outline is that it leaves plenty of room for change! A fascination with figuring out and revisiting the plot in your mind. This can be fun and very helpful, especially if you allow the plot to play on the inner screen of your mind like a movie. There are many times when we need to settle down and spend quality time working on plot. 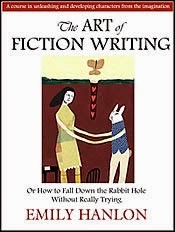 A plot driven writer has the option of figuring out and revisiting plot on paper and through the mind’s eye. For a character driven writer, it is usually preferable to work out plot through talking to others, bouncing around ideas, or seeing the story line and the what ifs through movies in the mind. I do this a lot when I am walking, driving, trying to fall asleep or during that wonderful half sleep before waking up. Personally, I find this vital to my process of plot development. Once I was so confused and lost in trying to figure out who the bad guy was, in desperation I handed the job over to my character, who worked out a very detailed overview that he called, On the Trail of Akimov. He figured out the plot and he wrote it down on paper! On the Trail of Akimov actually became a section of the book, just as he had written it, and became a key in uncovering the identity of the bad guy! Do what works for you while being aware that outlines are meant to help, not imprison. Successful plots are ultimately driven by characters: what characters say, do and how they react. The more developed your characters, the more compelling the plot. In writing a work of fiction, anything can happen! Still available as a soft-back workbook with 2 cds. Thank you for this post. It's exactly what I've been needing! I'm currently working on my first novel, and I'm finding that doing my outline first really is beginning to shackle my creativity and preventing me from doing any actual writing. I think I'm going to make the one or two page overarching view of the plot like you suggested, and just begin writing from there. Thanks again! Thank you for the tip. I am stuck in my novel where my characters are drowning in misery and I need something wonderful to perk them up! According to the "don'ts" in this article, I believe I have over outlined my story! So glad the posting helped you! I'd love to hear from you both in a while and let me know how it goes. i usually have an outline in my head of each upcoming chapter. sometimes i even think of dialoge in certain scenes before writing also. i am definatly a character driven writer. i find that my writing is usually better when i dont have an outline. is that disorganized? I subscribed to your blog today too. There's a lot more I want to read here. I'd like to get your writing book too but I don't use a reader. Still like the "old fashioned" lol kind of books most of all.